can be modified in two ways. First, you can edit the photo meta data using the Edit Photo Info command. including the latitude, longitude, and elevation of the photo. 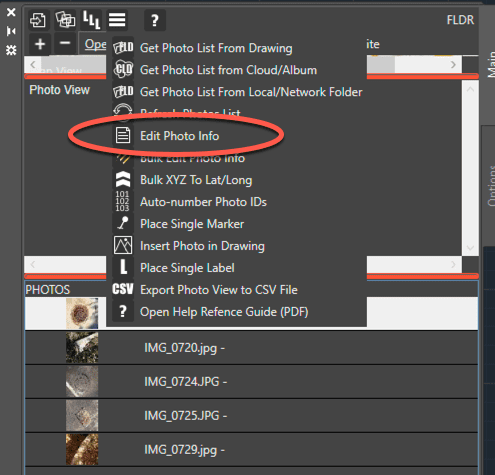 To make this easier, the program will also allow you to move the photo markers to any X,Y,Z coordinate in the drawing. Then, with the Bulk XYZ to Lat/Long command, PhotogeoDWG will automatically update the latitude, longitude, and elevation to match the new CAD file position. 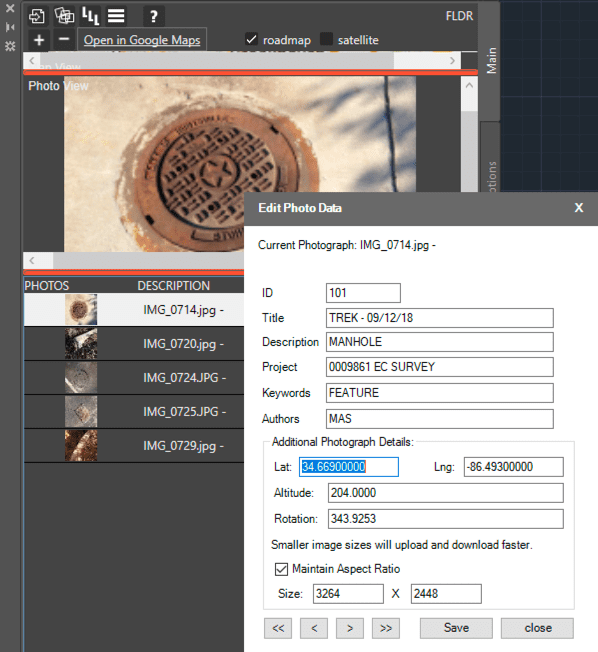 Want to learn more about PhotogeoDWG tips and tricks?